For a nation who loved the saccharine sweetness of Shreya Ghoshala��s voice, Chikini Chameli (Agneepath, 2012) was an absolute shocker. Not only did it take a while to sink in, it also upped her popularity by several notches. Of course, with some help from Katrina Kaif. 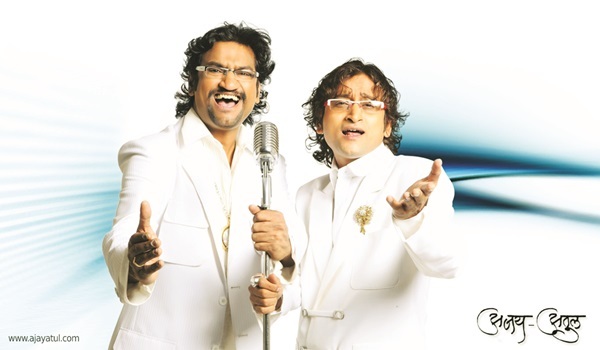 Two years later, Ajay-Atul Gogavale, the music director brothers, are at it again. They have chosen yet another conventional voice, Chinmayi Sripada, who gives a feisty rendition of Mary in Karan Malhotraa��s Brothers. a�?We wanted a singer who could do justice to it. We were not deliberately trying to prove a point. A good singer delivers a good song,a�? says Ajay. In fact, Mary, a robust koliwada item number, is a re-adaptation of their own popular Marathi number. Just like Chikini Chameli. a�?We composed different tunes, but Karan specifically wanted a remake of the Marathi song A good item number should have Hindustani tadka, Bollywood beats, a catchy voice, hummable tune and great lyrics. We strive to bring in some dignity to it,a�? AtulA� avers. Brothers is their first release after PK.A� a�?This is a very urban subject and we have experimented with various styles here,a�? he says. The duo has 40 filmsa��26 in Marathi and 14 in Hindi. More than a dozen musical compositions a��for daily soaps, dramas, and music videosa��and even more wins at awards shows, the latest being Music Composer of the year (for Agneepath) at the 2013 Mirchi Music Awards. Their background music are equally popular, robust with flavours of traditional Indian folk music. Especially Marathi folk. For the award-winning Marathi film, Navarang, they used lavani, phataka and tamasa. a�?But we dona��t believe in being pigeonholed. In PK, we tried Rajasthani folk. We like mixing styles,a�? says Ajay. Ita��s also about being in perfect sync with the director, quips Atul. Having said that, they do not rule out the popularity of Bollywood over other languages. a�?Marathi wona��t get as many hits on YouTube. However, we invest the same time and quality,a�? he says. As a rule, they do not have a song bank. The idea comes from the storyboard. a�?The characters, thought process, language, mannerismsa��all these aspects are taken into account. We want to work on every possible genre,a�? admits the duo. They are proud of the album they created for Prime Minister Narendra Modia��s Make in India campaign. a�?It was a huge challenge, as we had to represent varied classical segments. We had to bring in Bharathnatyam, Odissi, Kathakali and Kathak.a�? They are huge fans of AR Rahman and Vishal Shekhar. a�?Rahman might compose music after midnight, but ita��s there on his mind all the time. That is how it is. Trust me,a�? laughs Ajay.